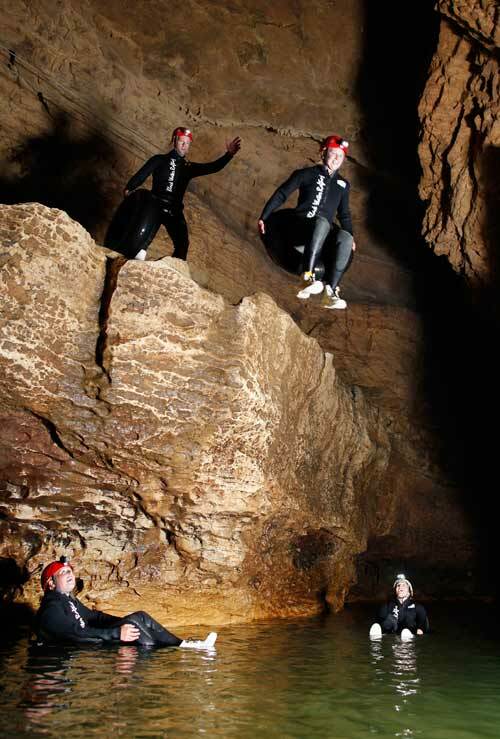 Underwater adventures are on offer for more daring visitors to the Waitomo Caves. Black-water rafting involves wetsuit-clad rafters travelling down underground streams on inflated tyre inner-tubes. Here, rafters explore the Ruakurī Cave on a Black Water Rafting Company tour. Founded in 1987, this was the first black-water rafting tour company in New Zealand.